On the search for traders and merchants who went missing along a new road, the heroes discover a mighty mechanical fortress, hidden until now. Fight, sneak, and scheme your way through 10 rotating floors of hideous abominations. Meet dozens of bewildered NPCs from multiple factions, and risk aiding their survival at your expense; or leave them behind, should desperation take you. Weather random attacks from the metal maze's creators, keen on putting your participation in this experiment to an end. All done to find whatever secret lies at the top of this pyramid, and whatever adventure may follow. 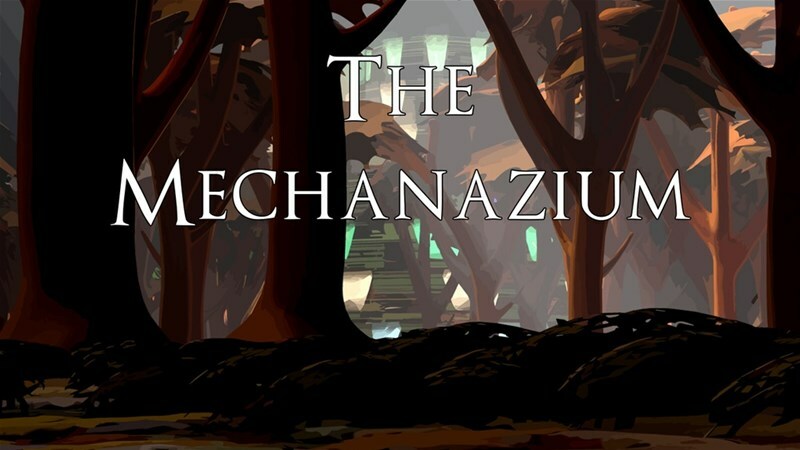 The Mechanazium is part 1 of a megadungeon adventure, estimated to provide around 6 months of content or more (assuming weekly meetings), taking players from levels 3-9. The content is divided such as to allow any game master to easily slice and serve the content as he needs, speeding up the progress of the dungeon for a shorter adventure or adding "spare" NPCs and factions to up the tension and increase the adventure's duration! Dozens of new monsters, potions, magic weapons and armor, scrolls, NPCs, and more come together in the race to get to the top of the Mechanazium. The campaign is up and running now. It's set to go for another 30 days.